This article first appeared in the Spring 2017 issue of Change Agent. Americans have a basic misunderstanding of Congress, but here’s the good news: In one area, at least, Congress is better than people think. Surveys show that only a fraction of Americans believe members of Congress care what their constituents think. But our research finds the opposite is true. This should encourage publicly engaged people to call, write, or visit their senators and representatives, and have a voice in government policy. 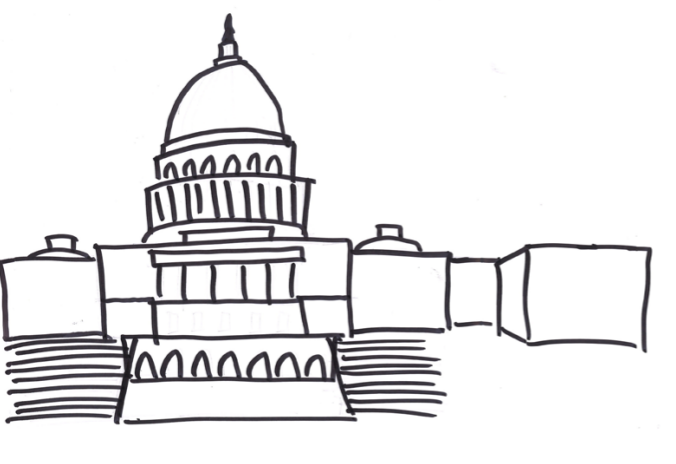 The Congressional Management Foundation (CMF) has been studying citizen engagement with Congress for more than a decade, conducting surveys, interviews, and focus groups with members of Congress and their staff. CMF also works with organizations (associations, nonprofits), training their members on best practices in citizen engagement with elected officials. Over the last month we have received reports of incredible levels of engagement. Telephone town hall meetings with double (or even triple) their normal attendance levels; voicemails in congressional offices jammed to capacity; and advocacy groups experiencing unprecedented interest in how their supporters can get involved. Ironically, all this activity comes at a time when most Americans don’t believe their voice makes a difference. Rasmussen Reports has conducted national surveys in recent years asking Americans whether they agree with this statement: “Congress cares what their constituents think.” Only 11 percent would agree with that statement – so nine out of ten Americans either doubt Congress is listening, or are convinced they are not. This flies in the face of the popular misconception of Congress – often spearheaded by Hollywood and the mainstream media. Most Americans see Congress “at work” either in a movie, where everything is done behind closed doors, or in a segment on the evening news showing floor votes – neither of which is an accurate or complete picture of how Congress really functions. Legislators in Washington make dozens (if not hundreds) of decisions every week that impact their constituents’ lives. Voting in committee, co-sponsoring legislation and signing on to letters sent to federal agencies are much more common expressions of legislative power than voting on the floor, and are usually much more consequential to their constituents. So Americans receive a largely incomplete picture of Congress at work. The Pew Research Center reported last year that there is no newspaper reporter covering the state delegation in Washington for 21 states. Barely one in ten members of Congress might appear on a Sunday morning talk show. There is little business incentive for most of the media to cover the vast majority of Congress, or any of their discussions involving constituent groups. But when you examine Congress as a whole, a very different picture emerges – one with the constituent at the center of legislators’ decision-making. This research should not be construed as stating that “all constituents are equal in the eyes of the legislator.” In fact, those citizens who are most active in their communities, participate in local organizations, and vote (especially in primaries) have an outsized voice. But that’s the point. The most active citizens in our democratic process are the most influential citizens as well. So, based on our research, here’s the best advice for citizens to harness this amazing power to influence their representatives. Be specific in what you want from Congress. When constituents send a vague message like, “support women’s rights,” Congress will respond in kind with a vague and unaccountable response. But if citizens ask, “Don’t vote for any bill that defunds Planned Parenthood,” there is a clear metric by which to measure the lawmakers’ decisions. Tell a personal story. This may be the most effective strategy, as it creates an emotional connection between the citizen and legislator. We heard from a member of Congress who once changed his position on federal funding for stem cell research (from opposed to in favor) in part because a 17-year-old constituent with juvenile diabetes had lobbied him directly. “That meeting just stuck with me,” he said. And he was a pro-life Republican. Our system of government is working, but it takes involvement. As Thomas Jefferson said, “We in America do not have government by the majority. We have government by the majority who participate.” And for citizens who want to have a say in the direction of this nation, it’s time to participate.